darkSpyro - Spyro and Skylanders Forum - Stuff and Nonsense - darkSpyro: RISE UP! 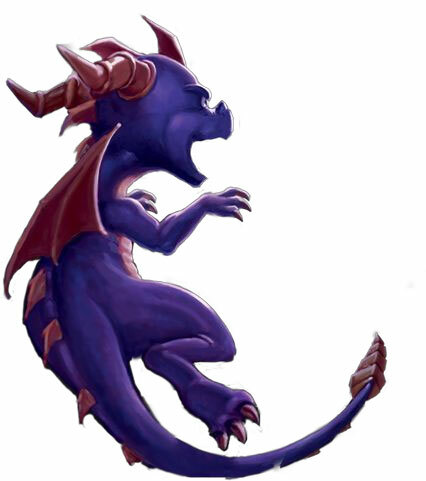 darkSpyro - Spyro and Skylanders Forum > Stuff and Nonsense > darkSpyro: RISE UP! Today, I have moved up in rank yet again! Typically, I avoid announcing this when it happens. But thinking about it; I realize how much prominence these gems give me. I have existed from the morning of the world, and I shall exist until the last star falls from the night. Through my years of experience, I can finally tell what is killing darkSpyro: the Mods. For years, users have cried out for moderators to be added to the website. But as they say: “Be careful what you wish for.” We survived YEARS without moderators, we fought the most heinous users purely through trolling. We don’t need moderators. They have pussified you all. I have seen the site transition from serious, more intellectual users to dumb ****posters because you’re all afraid of serious topics. You cry for your precious mods every time a debate rises. YOU’RE ALL DUMB SHEEP!!!! The moderators have also decided to become advocates of CENSORSHIP. Let us not forget the banishing of Bimle, who did nothing wrong besides posting his opinion. I also think there’s something wrong with dark52. His reputation certainly precedes him. The silent shadow, the hand looming over our society … We know nothing about this man. As far as we know, he could have died and been replaced! Perhaps, that is why he suddenly decided to recruit mods 8 years after creating the forum. The dark52 of old is a mere corpse! I think it’s possible that is “new” dark52 could be multiple people, even. Maybe not even people. Cat people. This is why dark52 was so eager to post pictures of “his” cats. It’s all SHILLING. Just what is their long-term goal for darkSpyro? It must be related to the stupification of dS. They want to turn these young, impressionable children into weak idiots. The cat people need to be fed, and they want slaves to feed them. Beware, DO NOT FALL FOR THEIR TRICKS. NO MATTER HOW “CUTE” and “FLUFFY” THEY MAY SEEM. Seriously? Don't be a fool, that dark52 was merely a sockpuppet. Unless the mods suspend you first. Alright, that's enough! We suspected that this might happen when radical idealists get emboldened by a new Sparx rank. We've decided that you need to take a while to cool off that head of yours. From this day forward consider yourself on notice! Now that we're done with this sorry business, I'll take my leave. I must go feed my cat.
. The dark52 of old is a mere corpse! I think it’s possible that is “new” dark52 could be multiple people, even. Maybe not even people. Cat people. Uh-oh, the cat nuns from Doctor who have taken control. Congrats on staying here so long dark now has your soul forever, and replaced it with a diamond rank sparx. I for one, welcome our new cat overlords. Carm was to close to the truth. who the actual **** is tc??? "I can't tell if testicle cancer is being sarcastic or not"
I used Google, smartass, and that definition didn't come up whatsoever. Plus, 99.99% of the internet uses the term "OP". So how the **** was I supposed to know that you were using a completely different terminology than the rest of the world? when the **** did TC start to mean "topic creator"? somebody is feeling edgy today, arent they? only the best of the best remember who i am.